Lincoln Paper and Tissue LLC., Sept. 28, 2015. Since 1997, Maine’s economy has grown 23.2 percent, but it has grown more slowly than 41 other states’ economies. Shrinking the time frame to the past decade, 2005 through 2014, Maine’s economy didn’t grow at all, according to U.S. Bureau of Economic Analysis statistics adjusted for inflation. It shrank 0.26 percent. Forty-six state economies grew in that decade, and three others shrank even faster than Maine’s. The sobering stats don’t stop there. In the past five years, Maine’s economic contraction happened even more quickly, according to the same, inflation-adjusted indicators. From 2010 through 2014, Maine’s gross domestic product shrank 0.31 percent. Forty-eight states’ economies grew in that time. Louisiana’s was the only other one to shrink, and it shrank faster than Maine’s. Maine ranked 41st for growth in total employment — or lack thereof — between 2005 and 2009, according to the Bureau of Economic Analysis. Over the next five-year period, 2009 through 2013, Maine’s rank dropped to 50th in the nation. How does Maine turn these sobering statistics around? It starts with ambition and the will to genuinely address Maine’s lagging economic performance. But division and stasis, not ambition, have characterized Maine state government in recent years. That has meant an inordinate amount of time devoted to issues that have little to do with the long-term investments needed to turn around Maine’s economy. This past year saw Maine’s Legislature come to near paralysis over disagreement concerning public assistance policies — including attempts by Gov. Paul LePage and other Republicans to cut off General Assistance to asylum seekers — and taxes. Success became passing a budget to keep government operating with most state government programs left intact and mostly untouched. It involved little meaningful action to address what Maine needs most in order to turn around. What Maine needs most is investment in the education and skills of its people, which economic research consistently links with higher productivity, higher incomes and faster economic growth. 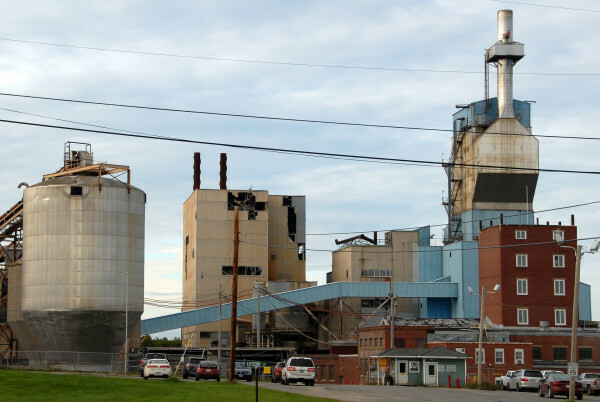 Such training, workforce-wide, is also part of an insurance policy against the often destructive employment effects of major economic transitions, such as the impending closure of Old Town’s pulp mill, Lincoln Paper and Tissue’s recently declared bankruptcy, and Verso Paper’s recent layoffs in Jay and last year’s shutdown of its Bucksport mill. The two-year state budget that passed the Maine Legislature in June has some positive developments. Maine’s universities received some additional state money along with a state fund that pays for research initiatives on the state’s university campuses, and a new workforce development initiative that involves collaboration among industry groups and community colleges received a small amount of funding. But the investments lack ambition and focus. Increased funds for the University of Maine System are welcome, but they aren’t tied to any expectations, such as improving student retention and graduation rates or enrolling and supporting more of Maine’s low-income students. The industry and community college initiative is a drop in the bucket in terms of its potential reach. State budgets are consistently tight, but policymakers elsewhere in the U.S. have managed to get ambitious when it comes to investing in people. Maine policymakers could look, for example, to Tennessee for the ambition — if not the specific mix of policies — that could serve useful for a state that’s consistently at the bottom of the pack. There, Republican Gov. Bill Haslam’s Drive to 55 Initiative aims to equip 55 percent of Tennessee residents with a postsecondary credential by 2025. Such a goal is nowhere on the radar in Maine, where nearly 40 percent of residents held two- or four-year degrees in 2013 — compared with 33.8 percent of Tennesseans. Coupled with the Drive to 55 goal, Tennessee allocated $10 million for the Labor Education Alignment Program, a competitive grant program that invited workforce training proposals from across the state, and awarded the funds last December. Haslam also is well-known for Tennessee Promise, a program that’s making the state’s community colleges and other associate’s degree programs tuition free. The same mix of policies aren’t necessarily right for Maine. But it’s time Maine got serious about improving its economic fortunes by investing in its people in a focused and ambitious way.